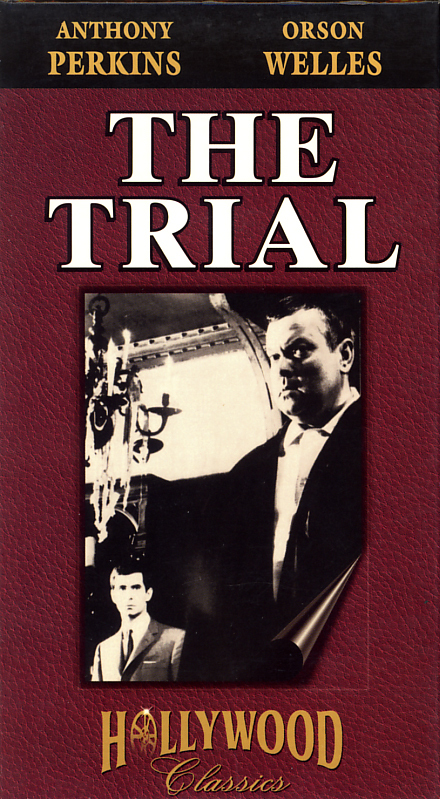 The Trial on VHS. Movie starring Anthony Perkins, Orson Welles. With Arnoldo Foa, Jess Hahn, Jeanne Moreau, Romy Schneider, Elsa Martinelli. Based on the novel by Franz Kafka. Directed by Orson Welles. 1962. Gripping adaptation of Kafka’s novel makes for a frightening story of a nameless man accused of a crime without being informed of what it was. Orson Welles’ inspiring scenes, unique staging and direction makes for fascinating, disturbing entertainment.